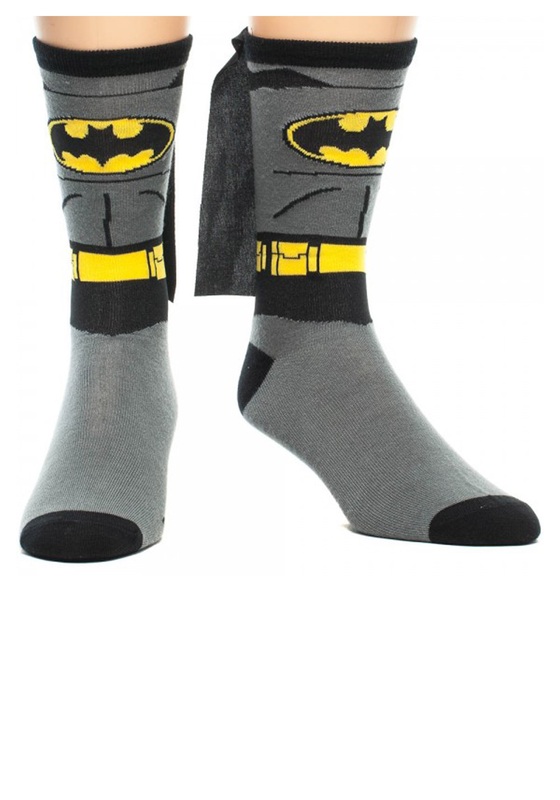 Now you can be a secretive superhero, or at least your feet can be when you wear these cool Batman Cape Socks! Not only will you be the person with the best superhero and sock sense, but you will also be the only one wearing capes on your feet. We wouldn’t be surprised if you were to start a new trend among the other secret superheroes with these cool socks!